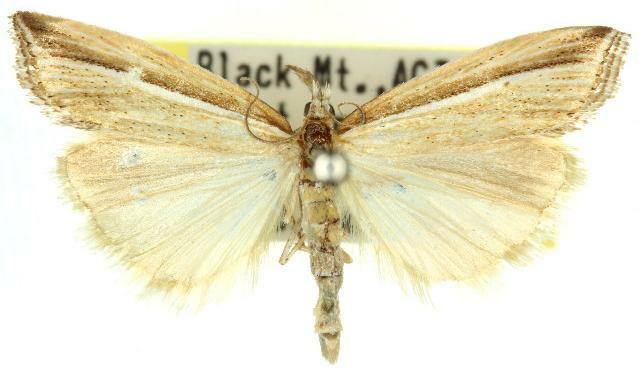 The adult moths of this species have cream forewings, each with a central dark brown streak, some short dark marks at the margin, and often with a dark discal dot. 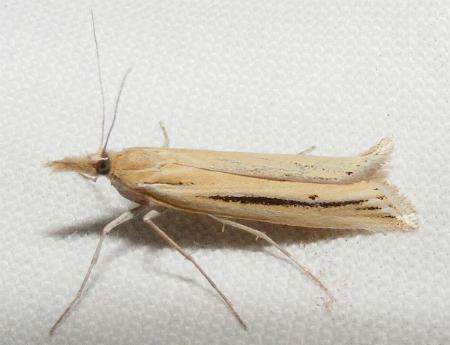 The moths are inclined to hold their long labial palps straight out in front of the head, looking like a birds beak. The moths have a wingspan of about 2 cms. Series 1, Volume 7, Part 2 (1882), pp. 167-168.